In those days when the temperature reached a balmy 10 degree, I managed to sneak out for short snowshoes outings. While walking along the creek behind my house, even in the cold, or maybe because of it, I found myself mesmerized by a landscape that had a magical and captivating frozen beauty. I was fascinated by the dead grass struggling to come out of the deep snow marred only by the tracks of deer and other Winter creatures roaming the frozen landscape. Their graceful curves and simple lines reminded me of the elegance and simplicity of a Japanese scroll. “Tracks” is the result of one of these treks and my observation of the beauty of nature even when asleep. 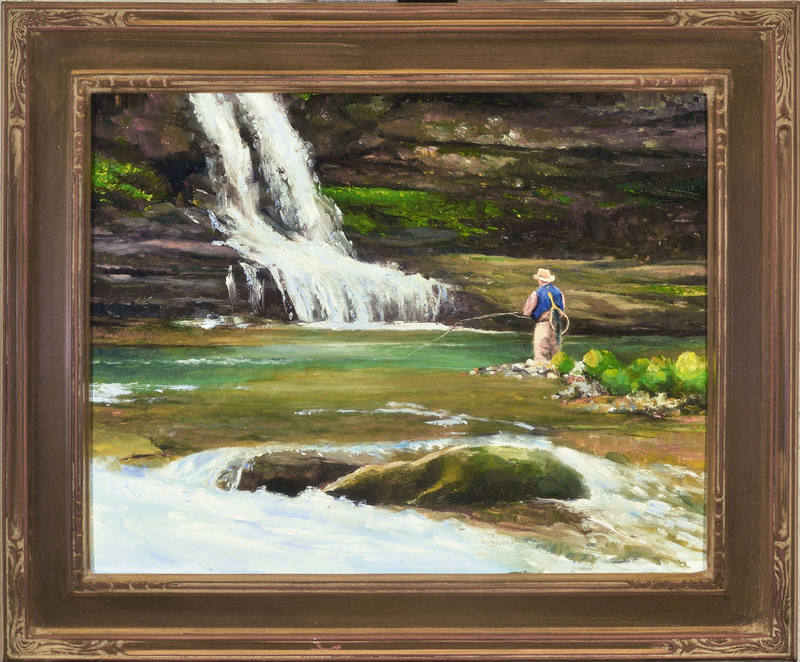 This oil on panel measures 9″ x 12″ and comes framed in a custom made gold leaf frame. When the days are too cold to venture outside however and the Winter seems to stretch endlessly in front of me, that is the time I start daydreaming and long for the warmth of Summer days spent fishing in some of my secret places. “In The Deep Pool” depicts one of those “secret” spots and if you ask me where it is, I could tell you but then… You know how that goes. 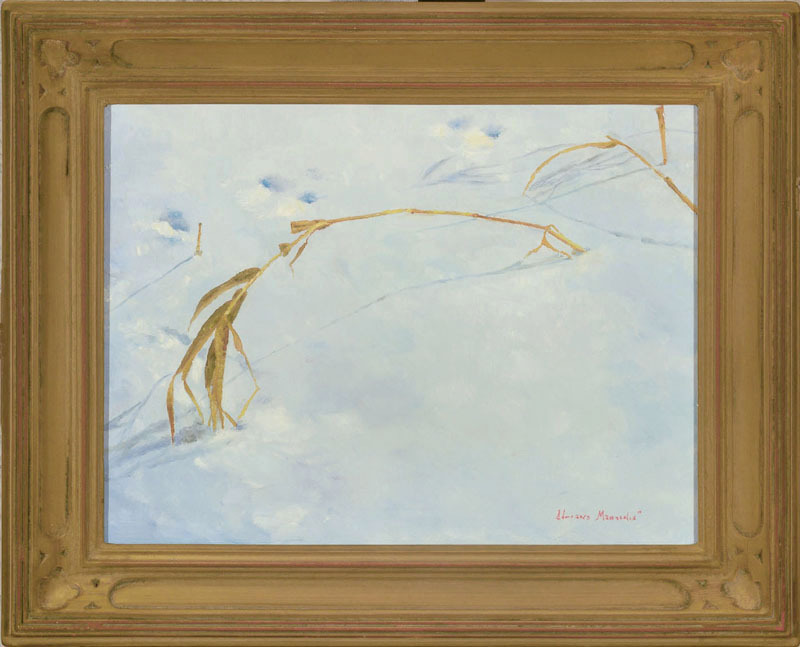 This oil on panel measures 11″x14″ and comes framed in a custom made gold frame. Enjoy these last few days of Winter and look forward to a spectacular Spring.